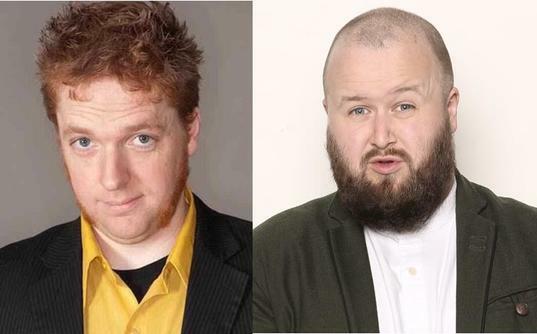 For this show we have two newcomers to our Comedy Nights, Canadian Dylan Rhymer (on a European tour) and Brit Freddy Quinne. Edgy, charming and hilarious, Dylan Rhymer is truly in a class of his own. For 20 years Dylan Rhymer has delighted and challenged audiences all over the world with his intelligent, provocative and fast-paced brand of stand-up comedy. Based in Manchester, award-winning comedian Freddy Quinne’s “uniquely northern observational humour” (Lancashire Evening Post) has seen a meteoric rise into some of the biggest clubs in the country. Quinne couples “clever, well placed gags” (Pickled Egg) together with a vulnerable persona for a unique experience which combines to make “a real tour de force performance” (Alex Boardman). His willingness to break away from his set and involve the crowd leads for an engaging and memorable set backed up with frantic energy and raw emotion. In 2014, Freddy was chosen to MC the late show for the Big Value Show at the Edinburgh Fringe, one of the most prestigious showcases at the festival. In September he compered another showcase for online magazine and comedy reviewers The Skinny, as part of the Liverpool Comedy Festival. In 2015 he returned to the Edinburgh Fringe to MC the early show for AAA at the Pleasance Courtyard, and to compere the new “Gag Reflex Presents” showcase.